Ghiradelli Chocolate Company first started up in San Francisco and is the third oldest chocolate company in America, which probably explains why there were so many stores in SF. 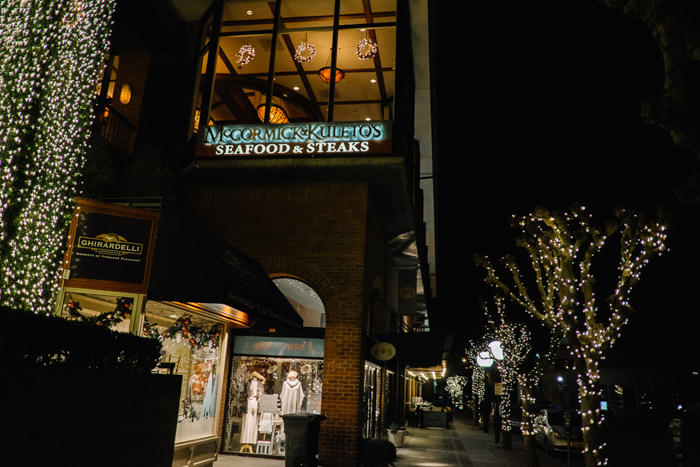 We have heard of people raving about the chocolates here and seeing the signage that said “World Famous Hot Fudge Sundae” got us curious, so we decided to check it out. 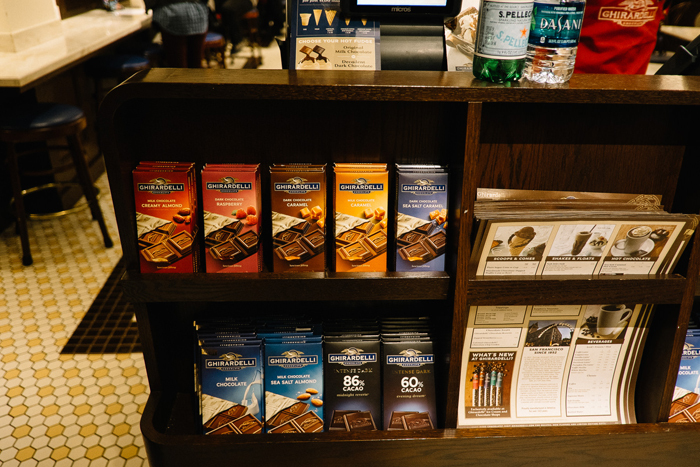 The obvious place to visit would be Ghiradelli Square – the building that used to be the Ghiradelli chocolate factory back in the late 1800s, now has been divided up into restaurants, cafes and shops. 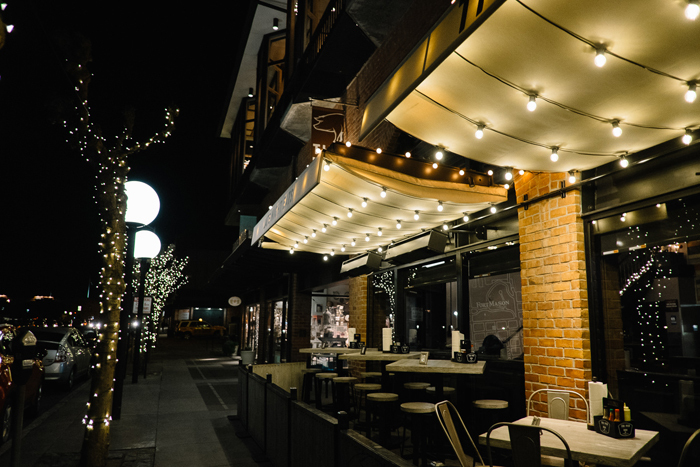 Amongst those you’ll fine 3 Ghiradelli cafes/stores too. 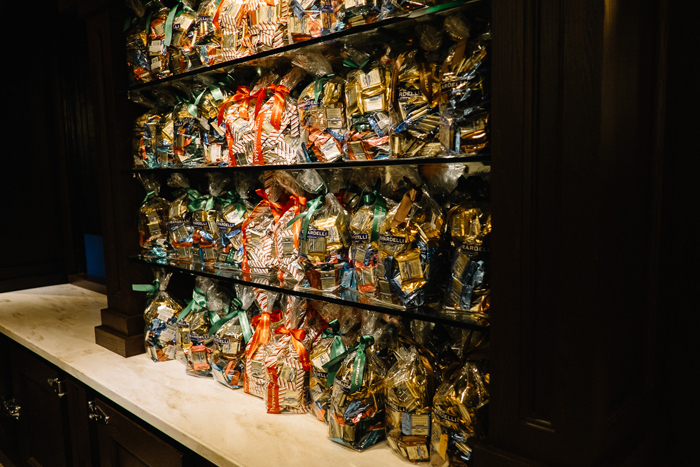 Walking in, you’ll see shelves full of chocolate in all kinds of gift types and sizes e.g. 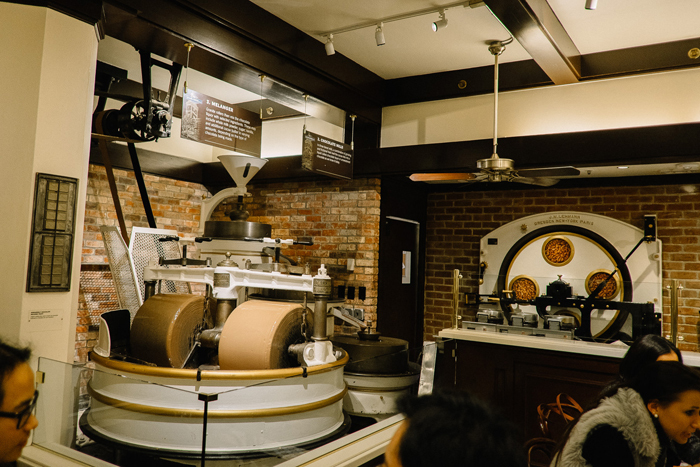 chocolates inside a cable car – a good place to buy souvenirs for back home! We didn’t do our souvenir shopping here though as we wanted to sample the chocolate first. That same night we realised that the free chocolate bar our Airbnb host left us was infact from Ghiradeli – so we got to try it at home. Its nice but not addictively nice (phew?! ), they do have some nice flavours to choose from though. 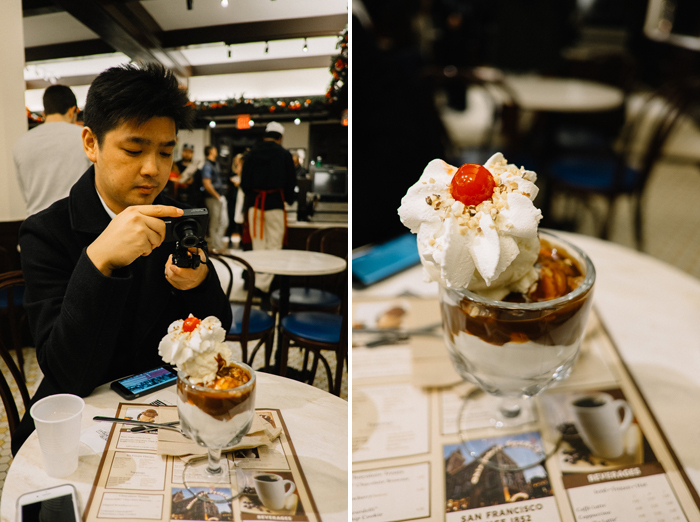 We were really there for the sundae – there were a few kinds of sundaes to choose from, most were named after iconic places in San Francisco. 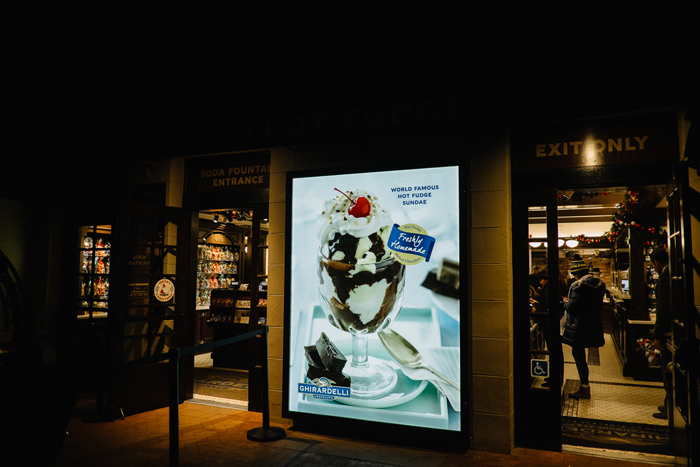 We just went with the ‘Ghiradelli Square’, the one advertised as THE world famous hot fudge sundae. Its actually just vanilla ice-cream coated with their hot fudge sauce and loooots of whipped cream. A classic dessert that doesn’t go overboard with the sweetness-level. 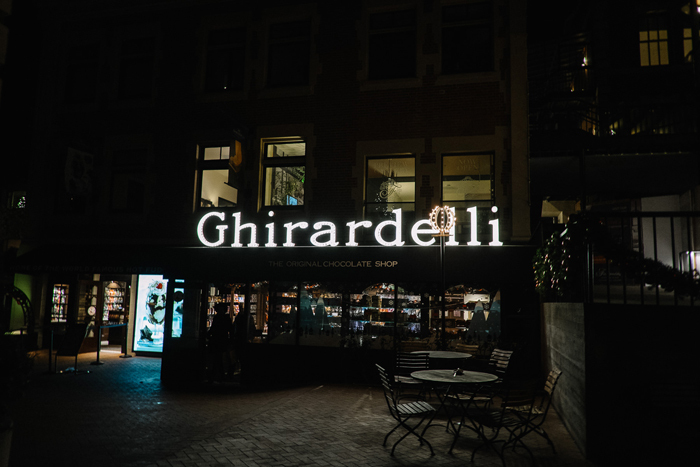 We also liked that it was a place we can easily drive to and park for dessert – it is clearly a popular choice as the cafe was mostly full both times we visited Ghiradelli Square, even when there is more than 1 branch there! That was how we wrapped up our last full day in San Francisco before heading up to Boston. Next: Last hours in San Francisco!